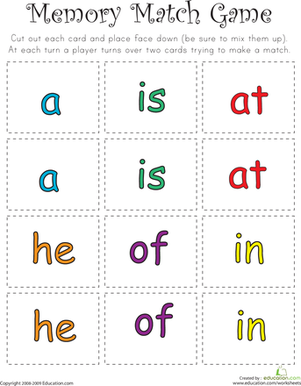 Stay up-to-date on the sight words your child's class is working on. 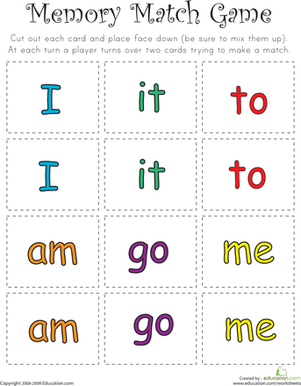 Use this knowledge to point out the sight word in books, on billboards, and in newspapers. 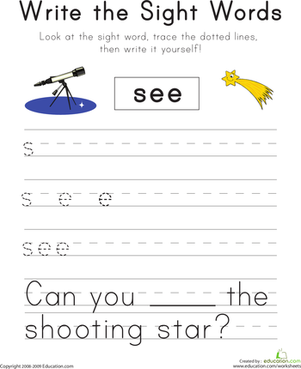 Students need plenty of opportunities to read and write sight words. Make sure to revisit them several times each week. Many board games require young kids to count. Play a simple board game with the whole family one night this week. 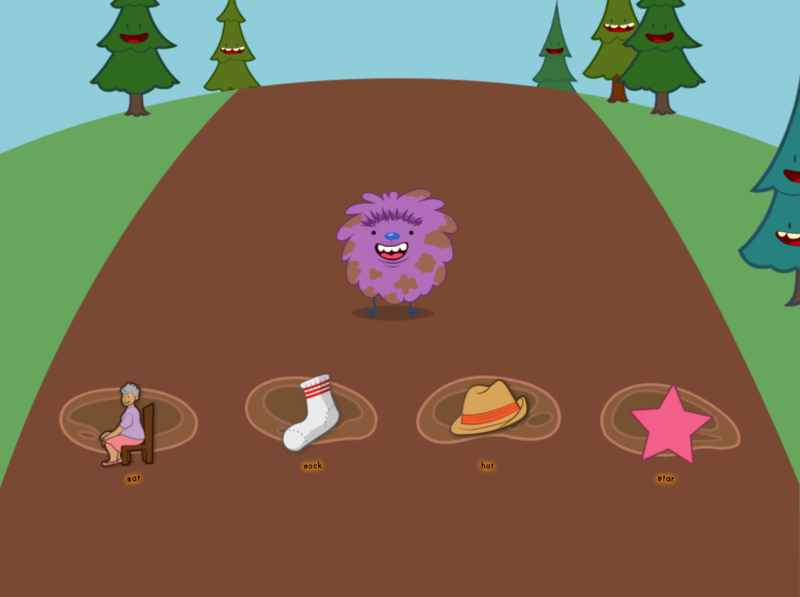 Give students plenty of opportunities to count, write, and read numbers through games! On this kindergarten math worksheet, kids trace the number 5, then write their own. 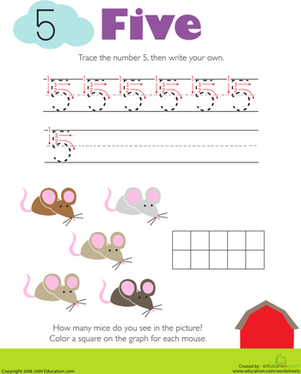 Then they count the mice they see in the picture and make a graph. 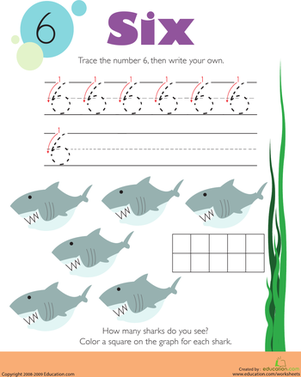 On this kindergarten math worksheet, kids trace the number 6, then write their own. Then they count the sharks they see in the picture and make a graph. 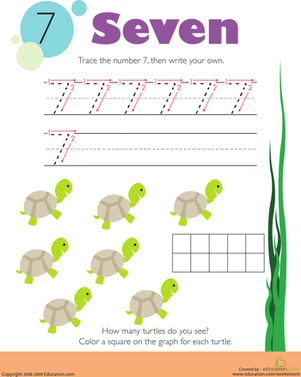 On this kindergarten math worksheet, kids trace the number 7, then write their own. Then they count the turtles they see in the picture and make a graph. 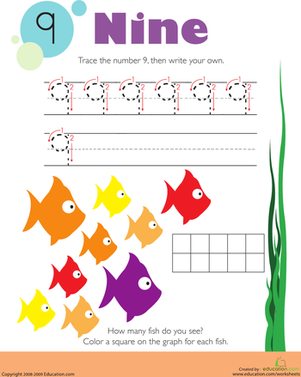 On this kindergarten math worksheet, kids trace the number 8, then write their own. 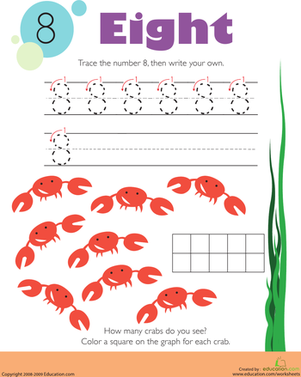 Then they count the crabs they see in the picture and make a graph. 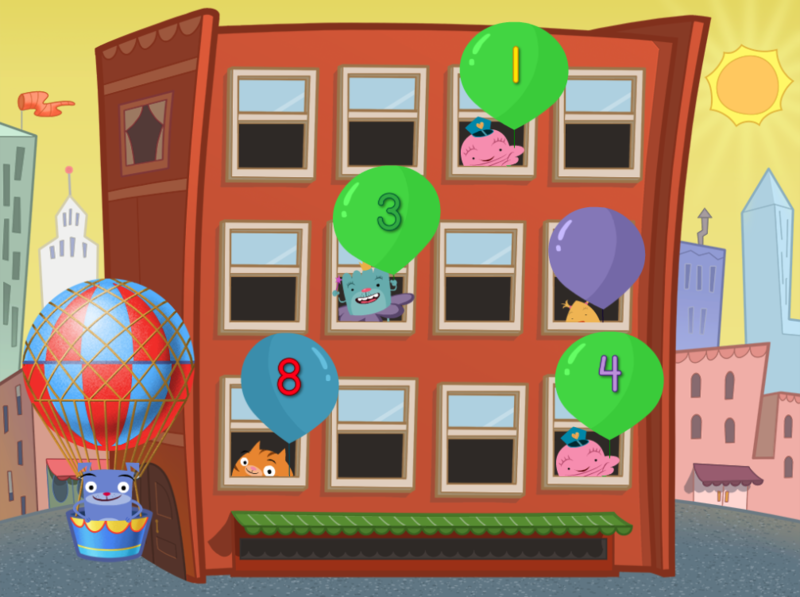 Raindrops are falling in this weather-themed math lesson! 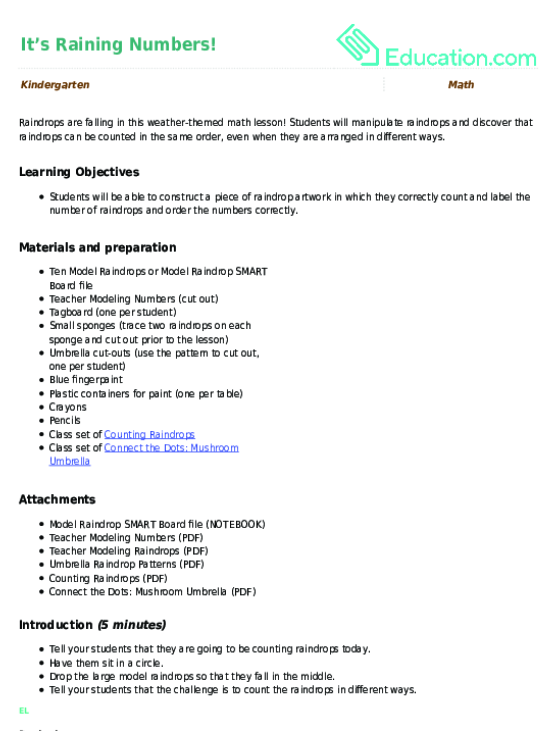 Students will manipulate raindrops and discover that raindrops can be counted in the same order, even when they are arranged in different ways. 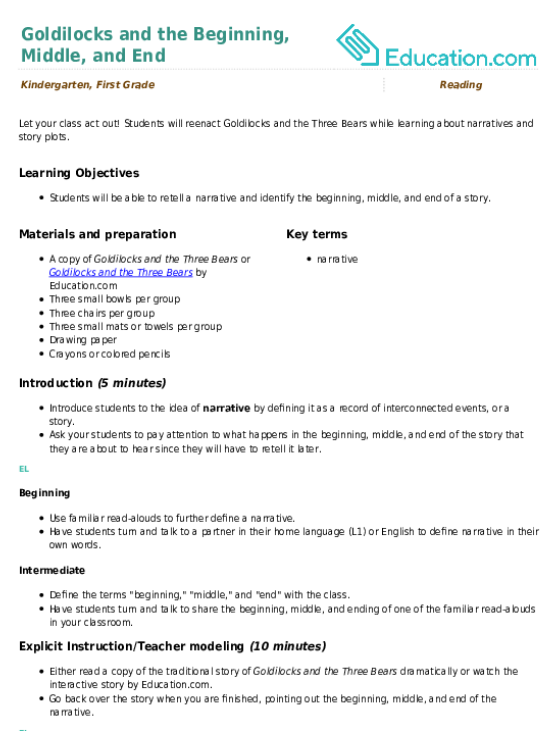 Children need plenty of practice retelling stories. 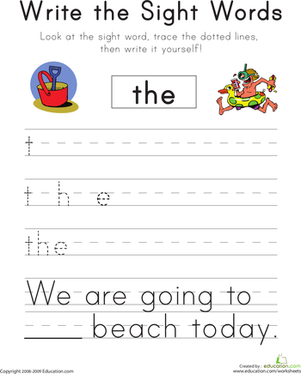 Have yours retell stories in three to four part chunks using transition words like "first," "next," "then," and "last." 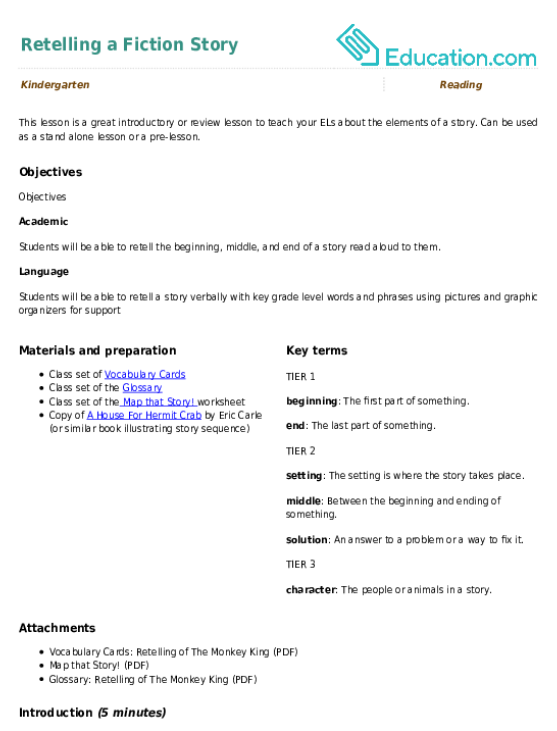 Students need plenty of practice retelling stories. 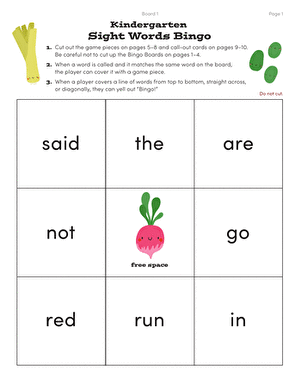 Have them retell stories in three to four part chunks using transition words like "first," "next," "then," and "last." 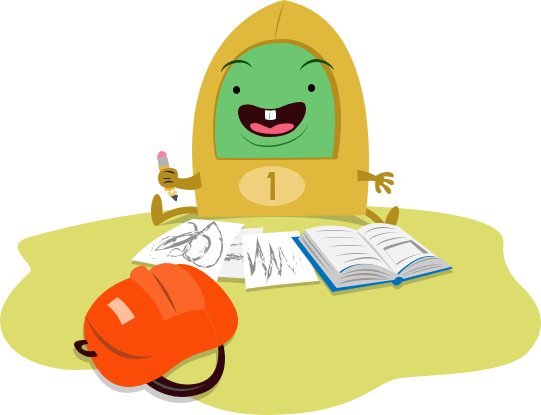 Give your child plenty of talk time before writing their stories. Have them tell you what they're going to write. Make sure their story has a beginning, middle, and end. 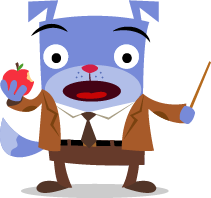 Give students plenty of talk time before writing their stories. 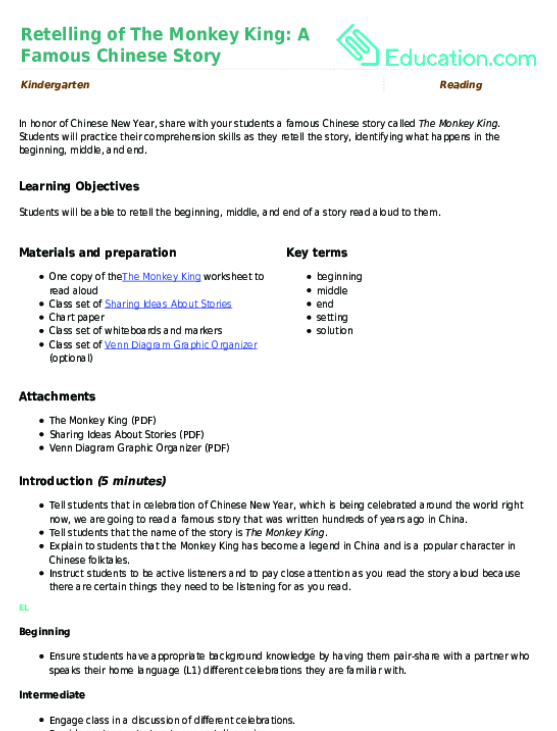 Have students tell a buddy what they are going to write, making sure their story has a beginning, middle, and end.